There are a few places to anchor in Nassau Harbor. The quality of the anchorages varies considerably, depending on your precise location. 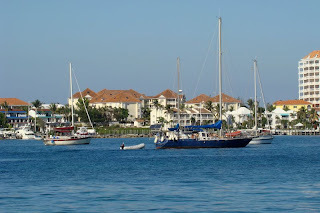 The two most popular are the west anchorage near the BASRA docks and the Green Parrot, a popular meeting place for boaters, and the east end of the harbor just past the marinas. 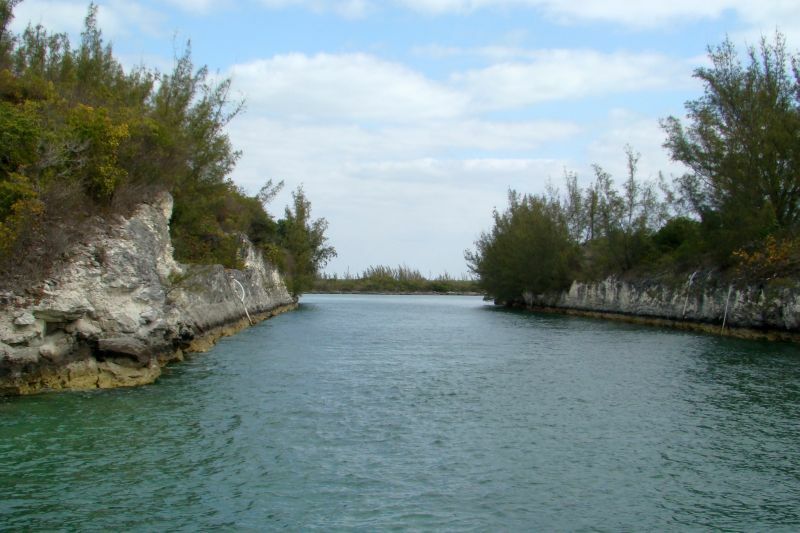 This anchorage is a sand bar that divides the channel through the harbor. 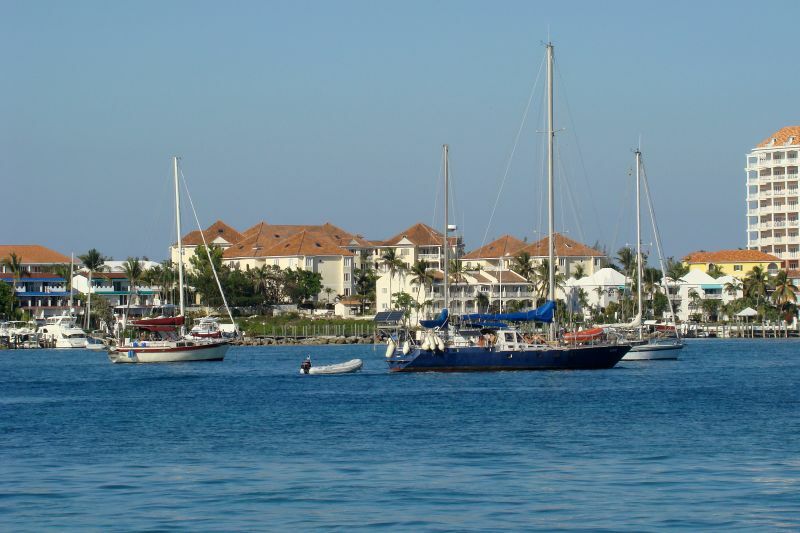 The inner channel runs along the marina docks and the outer channel is the main transit channel and favors Paradise Island. All of the anchorages and all of the marina slips, with the exception of Hurricane Hole and Atlantis, are extremely rolly. There is no speed limit on the boats and ships transiting the harbor and most run full speed and throw up large wakes which roll the boats at anchor from side to side and keep the boats in the marina slips bouncing all around. It begins around sunrise and goes on well into the night. Many might find this very uncomfortable, and is one of the reasons we usually bypass Nassau. But since it has been a while, we stopped for a few days. After 3 lonnnggg weeks in Bimini, the relentless winds were finally letting up for a couple of days. 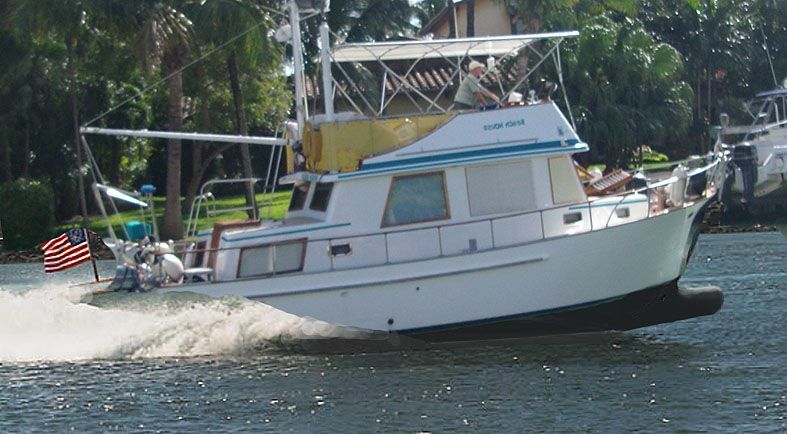 Anyone that owns a trawler in our size range understands the need for the right sea conditions to make a long open-water passage. Even smaller seas can become very uncomfortable from the wrong direction. 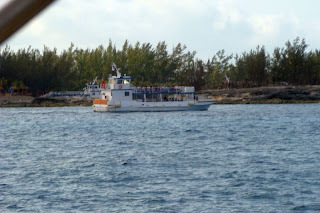 Our destination was the Berry Islands and from our marina to Great Harbor would be about a 12-hour day. Needless to say that as the first light of day broke over the eastern horizon, we had the dock lines off and were underway. As luck would have it, the tides and currents were slack as we motored out of the harbor and back into the edge of the Gulf Stream. Winds were less than 5 knots so other than some small swells, it was flat. Perfect trawler weather. Thanks for the photo and the great Photoshop work Larry. Let's play a little "where's Waldo" err... where's Beach House? 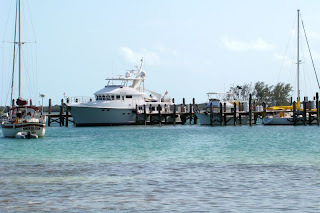 This weather pattern is driving us crazy and keeping us at the dock in Bimini. Last night it blew pretty much all night with gusts to at least 30 or more. Another one-day window will open up tomorrow but we want more than 12 hours so we will probably pass on this one, too. 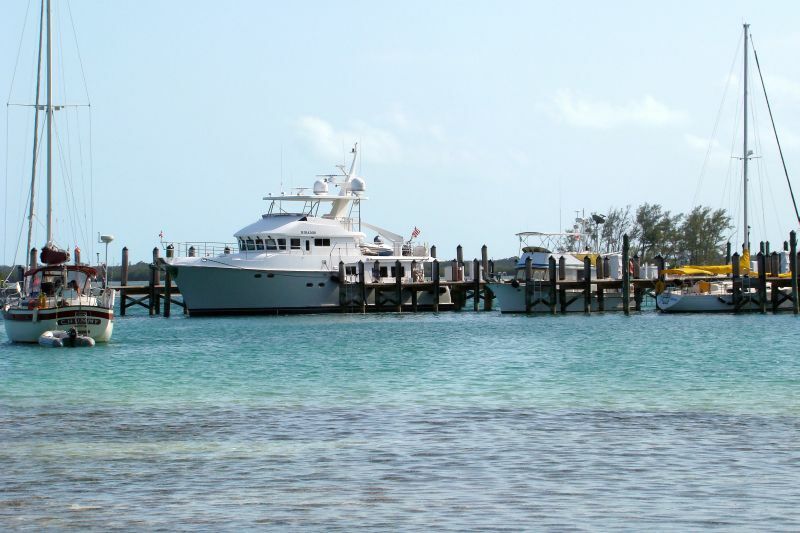 In the meantime, we are doing a lot of exploration of both North and South Bimini. We are working on the Bahamas edition of The Great Book Of Anchorages but we also find time to have some fun. The area has some interesting history and very friendly locals so what's not to enjoy?